As I begin conducting my diligence for this year's NCAA Tournament, I want to provide some initial thoughts and document my annual process of comparing power ratings to seeding. The chart illustrated below contains aggregate ratings from three of the most respected college basketball math models/rating systems (KenPom, Jeff Sagarin, ESPN's BPI). It represents a quick and dirty method to identify overvalued and undervalued teams, which can be a very rewarding exercise since most people are inevitably influenced by seeding when filling out a bracket. While my opinions may evolve and potentially become more informed over the next day or two as my research continues, I prefer to get my initial thoughts down on paper as soon as possible to prevent being influenced by external thoughts and opinions. 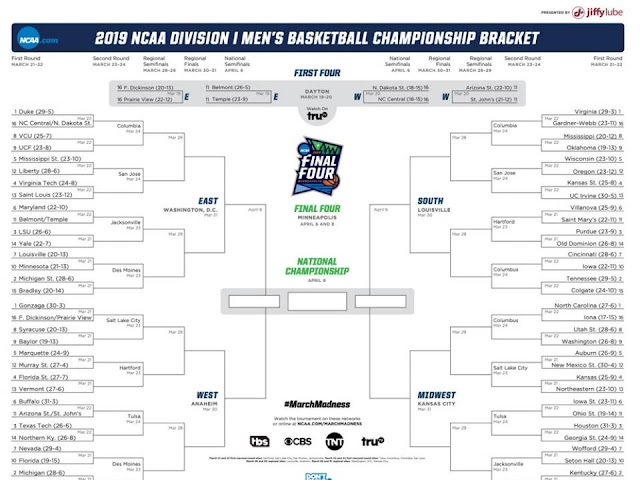 I generally view the tournament through an Elite 8 lens, but made an effort to broaden my perspective for this exercise. Forgive me for the scatterbrained, bullet point format! o LSU (3) and Maryland (6) are both overseeded and teams I am bearish on. With that said, I'm not sold on Winston being fully healthy and am definitely hesitant to pencil them in without giving it further thought. o VA Tech is a solid team and the return of their PG is intriguing, but would be catching 6 or 7 from Duke in potential S16 matchup. · LSU is tough to judge since they are without their coach. It probably doesn't have as much of an impact as perception may suggest but still creates plenty of uncertainty. o Need to take a closer look but Yale seems to be a frisky 14 seed. Early line of LSU -8 is definitely low for a 3/14 game, but realistically it's SEC athletes vs. Ivy league. o Gonzaga would still be favored by about 5 in that game, but the Seminoles should not be taken lightly. Need to give this more thought. · FL State should get to the S16. Marquette is vastly overrated and probably the weakest #5 out of the bunch. o Nevada (7) is the highly decorated mid-major up against a toughFL (10) team in round 1. Both teams are underseeded according to the math models and it's unfortunate they have to square off in Round 1.
o Elite 8 decision - probably going to have to split this half of the region up in the combos. No strong convictions at this point. o Purdue (3) is hard for me to evaluate - over reliance on Carson Edwards and I'm not sure how good the B10 is. o Tennessee (2) has plenty of talent but is vulnerable and not an auto E8 team. Potential tough matchup with a Cincinnati team in Ohio that can match their physicality in Round 2. 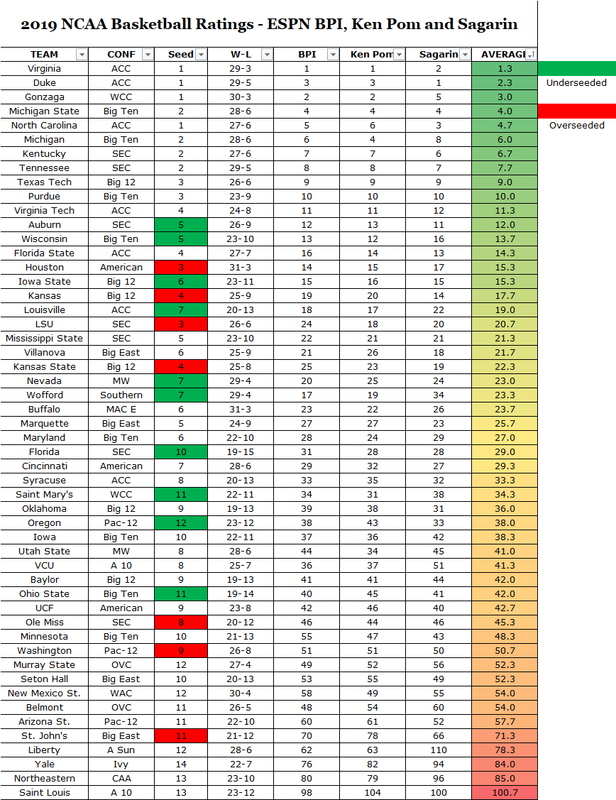 · Kansas State (4) is undoubtedly the weakest and most overseeded #4 of the group. I'm comfortable putting them in zero E8 combos even if I do 10+ entries. o Auburn is drastically underseeded and takes a high variance approach of shooting 30+ 3's per game. They also like to play up-tempo and have high-level athletes. Not the ideal #5 seed to have in your region. · Kentucky (2) has a pretty solid draw relative to their counterparts within the bottom half of this region. o Iowa St. is an underseeded, high variance team but they have two tough games just to get to the S16. It's difficult to feel comfortable putting them in E8 from a sheer math standpoint. If you are entering a large-field bracket contest, it makes the most sense to avoid picking Duke as champion (or finalist). From a game theory perspective, you need to differentiate yourself from the field and there are teams like Gonzaga and Virginia that are just as good as Duke. The perception among the masses suggests a full strength Duke team is the unquestioned top team, but I'm not buying it. Duke may be in the top tier, but they are not alone. As of this writing, ESPN's bracket tournament challenge suggests roughly 41% of entries picked Duke to reach the National Championship game. In large field tournaments, it pays dividends to be a calculated contrarian. Gonzaga (8%), Virginia (7%) and Kentucky (5%) all have similar probabilities of reaching the final game as Duke, yet public perception views these teams as 5-6x less likely to do so. With the commencement of training camp and preseason taking place last week, I wanted to get back in the saddle and talk some NFL. I thought it would be a fun exercise to analyze previous MVP award winners in an attempt to uncover some potential sleepers in 2018-19. Before diving into this year's player pool, let's examine some past winners to identify common qualities and provide historical context. 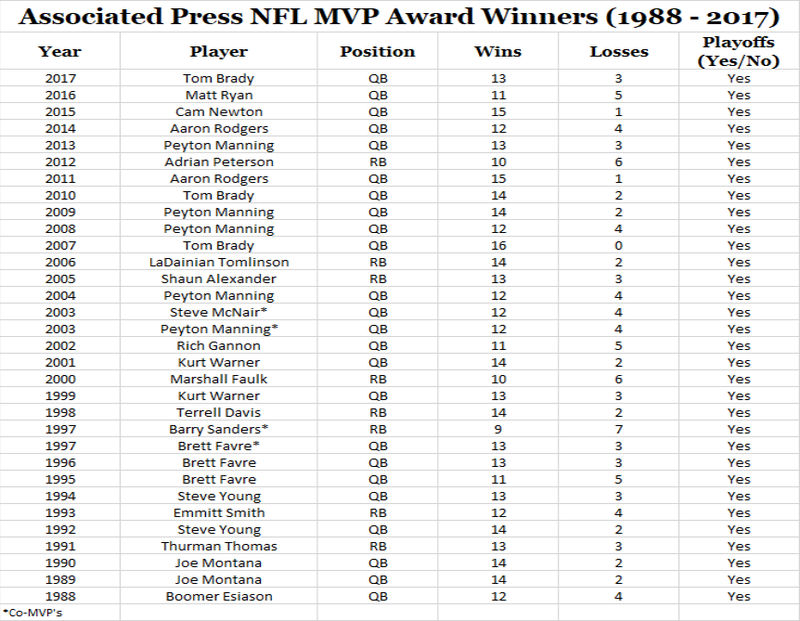 With the exception of Adrian Peterson's monster 2,300-yard season in 2012, a non-quarterback has not won an MVP award since 2006. Whether it be the pass-heavy mindset or running back by committee approach that currently exists, the days of LaDanian Tomlinson scoring 30 touchdowns are in the rearview mirror. Look no further than last year when Todd Gurley accumulated over 2,000 total yards and 19 touchdowns for an 11-5 Rams team, but only received eight (out of 50 total) MVP votes. 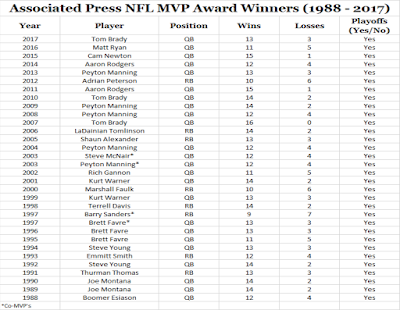 Additionally, there have been no wide receivers or tight ends to be crowned MVP by the Associated Press since the award originated in 1957. Moral of the story: The 2018-19 NFL MVP award winner will play the quarterback position on a team that makes the playoffs and has a winning record. Now that the parameters have been established, let's take a look at this year's candidates. 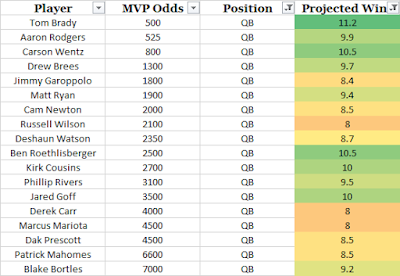 All of the MVP candidates listed at Bookmaker.eu are included above for reference along with their corresponding odds. As an example, Tom Brady's MVP odds of "500" correspond to +500 or 5/1. It is worthy to note that Bookmaker is accepting $5,000 limits on their MVP offering, which resembles a fairly liquid market in the context of player props and suggests the European-based operator has confidence in their numbers. Since not all of these names are valid candidates to take home the trophy, a more realistic representation is depicted below. I used current season over/under win totals to estimate the number of wins for each team. 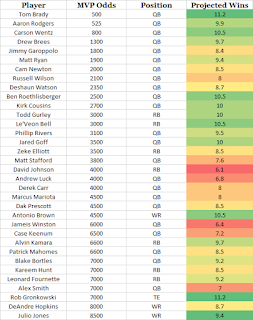 Understanding that projections are not an exact science, the condensed player pool contains quarterbacks whose team is expected to win at least eight games in an attempt to account for margin of error. While there are plenty of notable names highlighted above, I've identified a handful of viable contenders that are being overlooked. Big Ben stood out like a sore thumb after evaluating the condensed player pool of quarterbacks. As previously discussed, the key factors with MVP forecasting are playoff appearances and winning records. Pittsburgh is currently -270 to win the AFC North, which makes them the most likely team to win their division outside of New England. 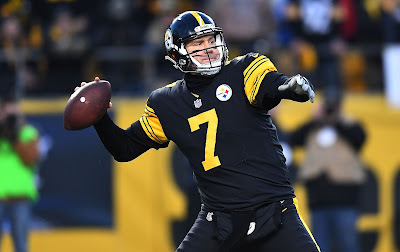 Considering the state of affairs involving Le'Veon Bell, it's not hard to imagine Big Ben shouldering the offensive workload for Pittsburgh this season. Furthermore, Roethlisberger has more than enough brand equity to satisfy the name recognition/popularity element that inevitably factors into the equation. Despite showing signs of decline last season along with some retirement rumblings, Roethlisberger appears to be re-energized and ready to roll in 2018. Keep those fingers crossed as a little bit of narrative never hurt anybody! 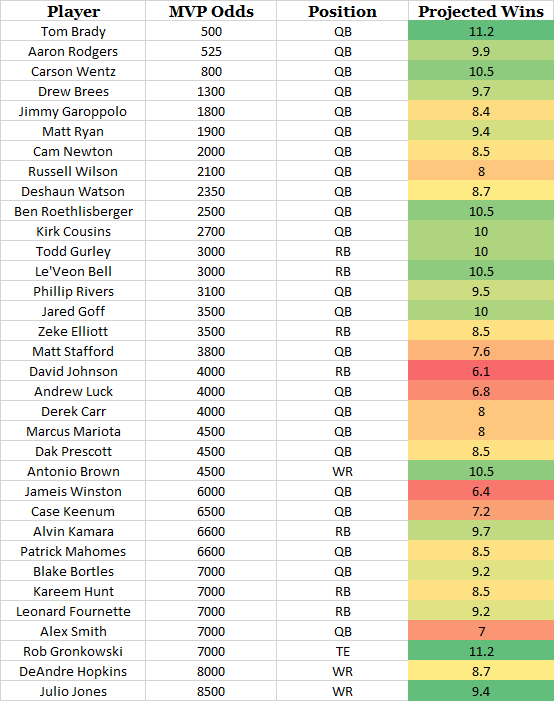 Although Roethlisberger was listed as high as 33/1 during the initial writing of this analysis, the current price still offers some justifiable upside. Cousins may not be the most appealing name listed above, but the former Washington Redskins QB has demonstrated the ability to put up favorable numbers. Cousins finished among top-10 quarterbacks in total yards and yards per attempt in each of his three seasons as a full-time starter. 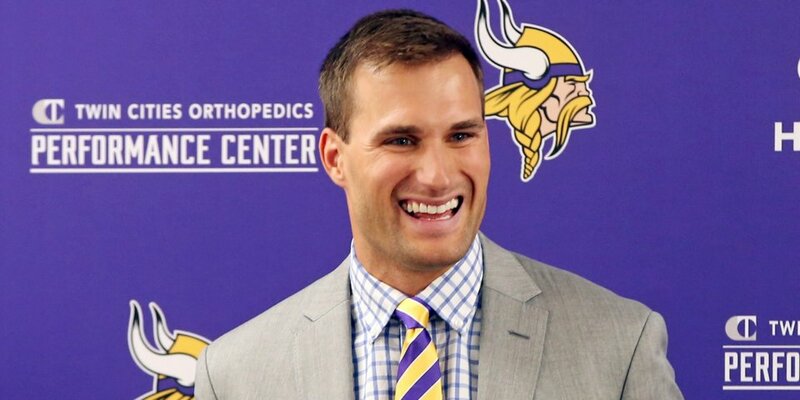 Furthermore, Stefon Diggs and Adam Thielen are more talented than any wide receiver Cousins has played with thus far in his career. Throw in Kyle Rudolph, who ranked as Pro Football Focus' fifth best receiving tight end in 2017, and Cousins has various upper-echelon weapons to choose from. The Vikings also have the luxury of playing nine games in a dome, which doesn't hurt in the stat padding department. 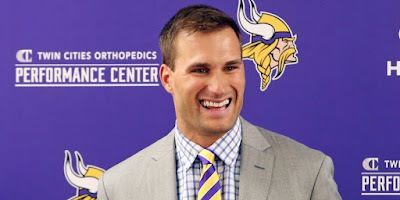 Although Minnesota resides in a rather competitive division, the Vikings are slight favorites to repeat as NFC North champs (+100 to win the division) and projected to win 10 games. As evidenced above, the driving factor behind MVP candidacy is the ability to win games and make postseason appearances. Cousins fits the profile of previous award winners and presents long enough odds to make a potential investment worthwhile. This one may seem silly on the surface considering Mahomes has only started one NFL game thus far in his young career, but hear me out. 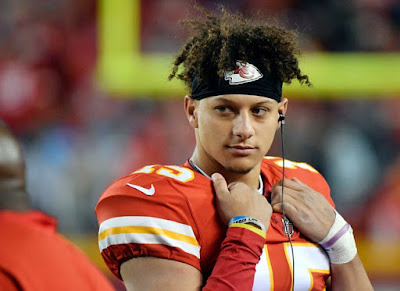 After shipping Alex Smith out of town, Mahomes has been handed the car keys to a relatively high-powered offense. The framework is in place for Mahomes to put up gaudy numbers under the tutelage of Andy Reid (aka The Quarterback Whisperer). The former Texas Tech gunslinger has a myriad of dynamic weapons at his disposal in Travis Kelce, Tyreek Hill and Sammy Watkins. From a distant view, it seems like Kansas City is going to take a high variance approach this season. The defense was far from spectacular last year, surrendering 5.6 yards per play (T-27th), and Mahomes should find himself in plenty of shootouts. Despite not being favored to win the AFC West, the division is still somewhat up for grabs. San Diego currently sits at +120 with Kansas City not too far behind at +229 as of this writing. It would not be inconceivable for Kansas City to climb out on top of the AFC West for the second year in a row, which would bode well for Mahomes' MVP prospects. They call them long shots for a reason, but the situation in Kansas City presents Mahomes with the theoretical upside to jettison himself into the MVP conversation. It's been a while since I've posted on here, but the recent Supreme Court ruling has definitely given me some newfound energy. Despite being passionate about the oddsmaking profession and anticipating sporting event outcomes, there has always been a stigma associated with point spreads and the sports markets, but hopefully that will be coming to an end sooner than later. Although there is not any legislature in place on the federal level allowing nationwide sports betting, the Supreme Court verdict dismantling PASPA was a gigantic step in the right direction towards national legalization, but I digress. Without further ado, let's jump into the 2018 NBA finals showdown. 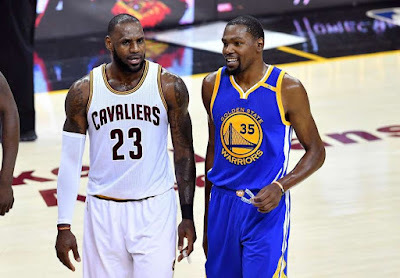 The 2018 NBA Finals are slated to commence tonight and despite some curve balls mixed in throughout the regular season, the stage is set for the Finals matchup that was anticipated to begin the season. With that said, Vegas isn't giving Cleveland much of a chance, if any. The moneyline price listed above suggests Golden State has more than a 90% chance to repeat based on the corresponding implied probabilities, which represents the largest discrepancy since 2000-2001. 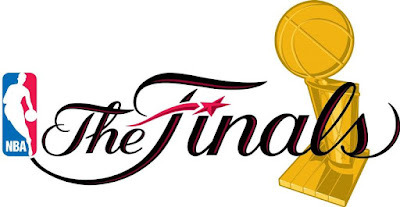 In layman's terms, the sports market views this as the most lopsided NBA Finals matchup in 17 years. 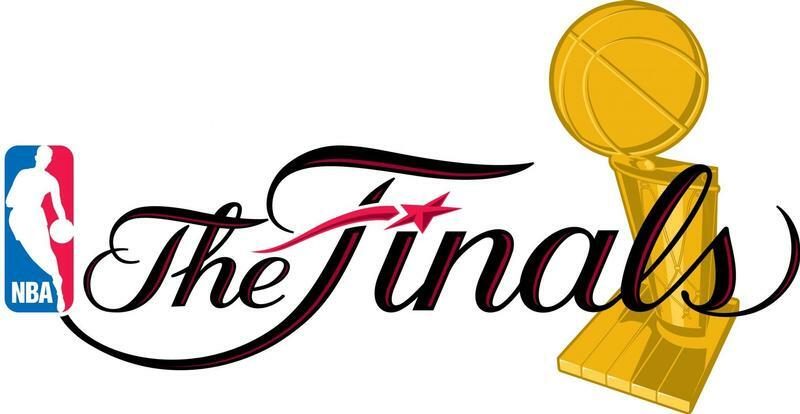 LeBron James will be making his 8th straight finals appearance, which is an unprecedented feat in the modern era. As unbelievably impressive as LeBron has been this season, it's difficult to imagine him slaying the beast of Golden State with his current cast of characters in Cleveland and the aforementioned odds fully reflect that notion. To give some context, Jeff Green emerged as Cleveland's ancillary savior in Kevin Love's absence and delivered a much needed 19 points in Game 7. 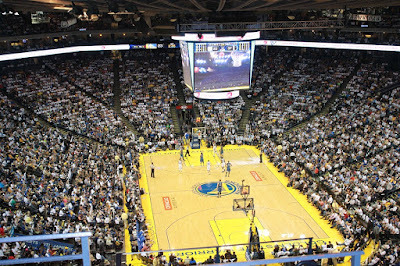 While that may have gotten the job done against a young Boston team, I doubt it will fly against the Warriors. This Cavs team is somewhat reminiscent of the 2007 team that knocked off Detroit in unexpected fashion. While the 2007 Pistons were a much more formidable bunch than the injury-riddled Celtics, the premise involves LeBron carrying an uninspiring bunch through the Eastern Conference, only to face a vastly superior opponent in the Finals. Ultimately that team got swept by San Antonio and its safe to say dethroning the defending champs would be the most impressive accomplishment of LeBron's career. 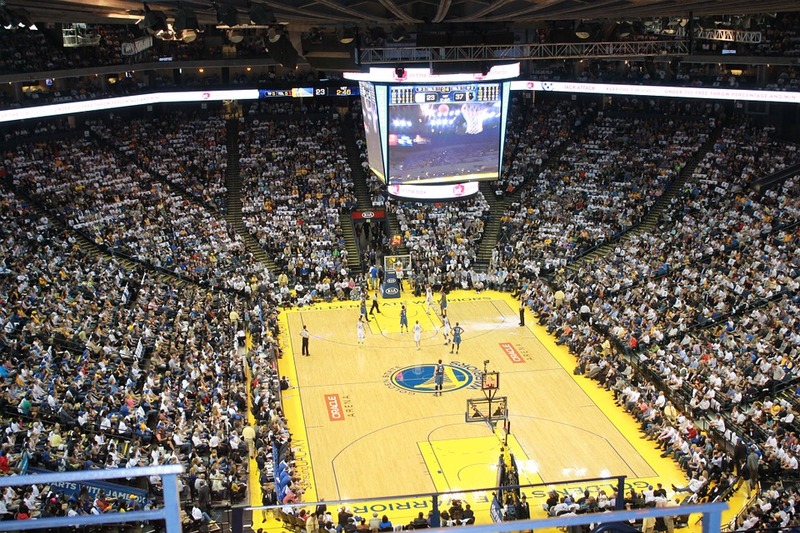 Golden State was able to take care of business against the Rockets despite facing their toughest test since Durant migrated to the Bay Area and will be making their fourth straight NBA Finals appearance. As a reference, the Warriors closed as -185 favorites against Houston, which represented a much more modest 65% win expectation for the Warriors. It's fair to say Golden State-Houston was the NBA Finals masquerading as the Western Conference Finals. The Rockets had Golden State on the ropes early in Game 7 and it's fair to speculate whether the outcome would have been different if Chris Paul suited up. While common wisdom suggests counting out LeBron this early is a fool's errand, the talent disparity between the two teams is difficult to overlook and I respect the market too much to think otherwise. Mediocre quarterback play, juicy sound bites and our first head coach firing of the season highlighted Week 14. 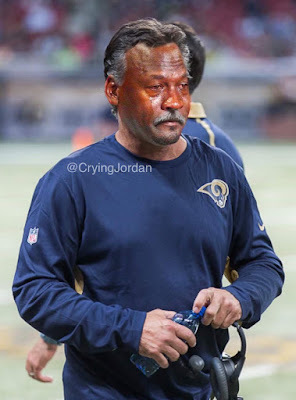 Just eight days after it was reported Jeff Fisher had a contract extension in place to remain with Los Angeles, the oft-criticized head coach was kicked to the curb by the Rams. While the decision to move on from Fisher was long overdue, the timing is a bit puzzling considering the aforementioned news that broke last week. With that said, the tension within the Rams organization is well-documented and a head coaching change was pretty much inevitable. With three weeks of regular season games remaining, the playoff race is shaping up to be very entertaining. Despite a shaky start and decline in ratings, the rumblings regarding the NFL's demise appear to be greatly exaggerated. It's safe to say that people simply enjoy gambling on football, whether that be in the form of office pools, fantasy football or picking games, which is primarily why the NFL reigns supreme in comparison to the other major American sports leagues. Additionally, when the most popular teams, such as Dallas and Pittsburgh, are relevant, the macro sentiment surrounding the league won't have as much of an impact, but I digress. Without further ado, let's jump into Week 15. Fun Fact: Before leaving the office on Friday, I told my co-worker I wouldn’t be surprised if Atlanta came out flat against St. Louis (in Week 14), considering they had to travel across the country to LA and play outside the friendly confines of the Georgia Dome. That’s a true story. Fast-forward to Sunday and the Falcons were up 42-0 before the third quarter ended. "It looked like a middle school offense out there," Todd Gurley says about the Rams. This organization is a complete dumpster fire. Lev Bell put up an NCAA-esque stat line in snowy Buffalo last week, carrying the rock 38 times for over 200 rushing yards and three touchdowns. Currently riding a four-game winning streak, Pittsburgh has the inside track to win the AFC North after Baltimore's loss to New England on Monday night. Despite their Jekyll and Hyde tendencies, the Steelers are a dangerous team that can contend with any of the AFC heavyweights come playoff time. Last year's bizarre Wild Card matchup between these two teams was unfortunately littered with injuries and cheap shots. Vontaze Burfict was an absolute menace on the field that night (as shown above) and ultimately cost his team the game while receiving a three-game suspension in the process. I hate to say it, but considering Cincinnati is out of the playoff hunt with nothing meaningful to play for, this game could get ugly, especially since Burfict will be on the field after missing their first meeting due to said suspension. It's safe to say Pacman Jones doesn't have much respect for Terelle Pryor. While both of these teams possess a 9-4 record, the jury is still out on whether or not either squad is actually good. Eight of Detroit's nine wins have been decided by seven points or less, which is absolutely absurd. Ironically, the Giants have also won an unsustainable eight games decided by one possession. Historically, these types of games are often decided by a coin-flip and thus the numbers tend to revert back toward the mean from year-to-year. In 7 straight games now #Lions have held their opponent to 20 points or fewer. They ran 66 offensive plays Sunday. #Bears ran 50. After beginning the season running an offense revolved around a hurry-up style, Detroit has done their best Dallas Cowboys impression, adopting a ball control style in an attempt to mask their defensive deficiencies. As Evan Silva points out, Detroit is playing keep away with their opponents, which enables their defense to stay off the field, or at the very least, fresh and well-rested. Eli has thrown for fewer than 200 yards in three straight games for the first time since 2008 and has hit 250 yards just once in his past 7. On another note, Eli Manning was my dark horse MVP candidate coming into the season and I drafted him in all three of my fantasy leagues. Continuing our trend of fantastic postgame interview clips, below is Aqib Talib's reaction after Harry Douglas landed an egregious cheap shot on fellow Broncos teammate Chris Harris Jr. If I were to construct a set of power ratings ranking the NFL players you would least likely want to beef with, Aqib Talib would be up near the top of that list (along with our boy Pacman). Not only does Talib have legitimate street credibility, but he also has the pedigree of an enforcer considering his Grandma is an East Cleveland legend. Come to think about it, maybe I'll follow through with this and create some rankings in an offseason post.